Facial aesthetic treatments, otherwise known as facial rejuvenation treatments, offer a non-surgical way of reducing the signs of ageing on the face. A natural, more youthful appearance can be achieved with a choice of treatments carried out by a fully trained, qualified professional. Ashley Steele, our facial aesthetics nurse, is fully qualified and has many years of experience in this field. There are two main forms of facial aesthetic treatment- wrinkle reduction and dermal fillers. 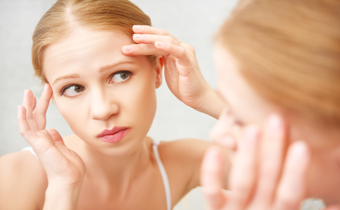 Wrinkle reduction-what does it do? Wrinkle reduction is a simple treatment that can dramatically soften facial expression lines and wrinkles on the face leaving you looking younger and more refreshed. A very small amount of the wrinkle reduction relaxant is injected very precisely into several locations on the face. Impulses are blocked from the nerve to the tiny facial muscles that help contribute to wrinkles. The muscles therefore cannot contract and tend to relax. Although the results are dramatic, it will not radically change your facial appearance. The muscles are simply relaxed, so you can still frown, smile, or look surprised without the wrinkles and creases between your brows. How long will it take to perform wrinkle reduction? This is a simple non-surgical procedure that, depending on the number of areas you wish to treat, only takes 30 minutes and allows you to return home immediately afterwards. How many wrinkle reduction treatments will I need? You may need to have top-up injections every 4 to 6 months to maintain your desired appearance. Clinical studies indicate that the duration of treatment benefit is increased over time, meaning that you should require injections less frequently in the future. What results can I expect from wrinkle reduction? The overall effect is a smoother, natural-looking, more youthful appearance. When will I begin to notice the effects of wrinkle reduction? Once you have been treated, it usually takes two to fourteen days before the treatment actually takes effect. Wrinkle reduction treatments have been safely and successfully used for more than 12 years on over 1 million people worldwide. Any side effects are temporary and localised to the area injected. For deeper lines and wrinkles, dermal fillers (such as Juvederm ) are a popular treatment choice. The primary ingredient of dermal fillers is hyaluronic acid, a natural component of skin. Also a natural sugar found in your body, hyaluronic acid commonly occurs in skin, joints and in the eyes. The role of hyaluronic acid is to hydrate the skin (by attracting and binding to water molecules), to act as a cushioning agent and also to deliver nutrients. Dermal fillers offer a safe and natural way of restoring volume and fullness to refresh and revitalise your looks by supporting the skin’s natural structure. What happens during dermal filler treatment? A mild anaesthetic cream is applied to the treatment area before the filler product is injected into the skin beneath the wrinkle. Treatment usually takes around 30-40 minutes, depending on the level of treatment required. How long will it take to perform? Depending on the type of dermal fillers you have, treatment can take around 30 minutes. When will I begin to notice the effects of dermal fillers? The results of your dermal filler treatment will be obvious immediately. How long do dermal filler results usually last? Typically, the results of a dermal filler treatment can last up to six months, but this varies from one person to another. The dermal filler is gradually broken down and naturally absorbed by the body so lines, wrinkles or lips will ultimately return to their previous appearance if no further top up treatments are sought. Yes, dermal fillers are extremely safe.